Kids and Cruising: Can they come? What cruise lines accept kids, have programs for kids or suggest parents leave them at home? Cruise Compete sent a press release about this that is so good, I'm sharing it with you, uncut, unaltered. Their words and research, invaluable to anyone considering a family cruise. CruiseCompete’s Annual Update for Traveling With Infants and Young Children If you’re planning a family cruise vacation, it’s very important to research cruise lines’ amenities and policies, especially in regard to younger children. While there are lines that cater especially to families with children’s amenities and programs, there are also those that allow but don’t promote travel with young children, and some cruise lines categorically discourage (or have policies against) bringing young children aboard. • In general, 6 months is the minimum age for cruising on most lines; but expect it to be 12 months on TransAtlantic and other select voyages. • Disney allows the youngest children aboard at 3 months, while Viking River requires a minimum age of 12 years to cruise. The rest of the lines’ age requirements fall at various spots within this spectrum. • The majority of cruise lines offer children’s programs or amenities in some form, but several do not. They include Azamara Club Cruises, Oceania Cruises, Sea Dream Yacht Club, Silversea Cruises, Seabourn, Uniworld Boutique River Cruise Collection, Viking River Cruises and Windstar Cruises. • Those lines that offer children’s activity programs generally begin them at age two, but Cunard starts programs at age one, and Regent Seven Seas Cruises programs are for children aged 5 and over. • Babysitting services are available on some, but not all, lines. Parents should expect to pay premium price for these services in most cases; for example, Crystal Cruises are $10 per hour for one child, $15 per hour for two children and $20 per hour for three children. Read on to find out more information on which lines are best suited to traveling with small children and which ones it might be best to defer for a few more years. Ama Waterways: AmaWaterways cruises are primarily designed for the adult traveler. Children are allowed; however, there are no child-specific programs or child-minding facilities. Minimum age to sail on AmaWaterways is 4 years. Children 4-17 must be in a cabin with an adult. 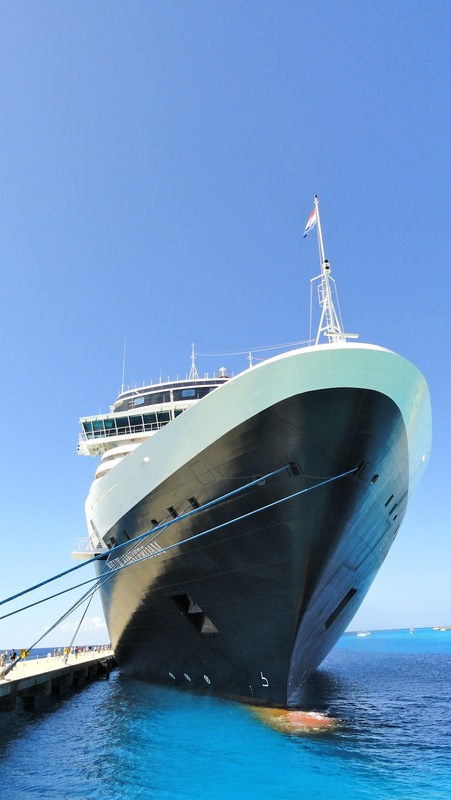 Azamara Club Cruises: Azamara is primarily designed for the mature guest. While the cruise line does welcome guests of all ages, no formal children’s programs or facilities are onboard their ships. Minimum age requirement to sail on Azamara is 6 months; there are such exceptions as TransOceanic cruises/cruise tours, as well as other select cruises/cruise tours, where the infant must be at least 12 months old. Please consult the line directly regarding the minimum age for your specific cruise. Carnival Cruise Lines: Carnival’s Youth Program, Camp Carnival, is designed for 2-11 year olds, but children younger than 2 can play with the toys during designated family play times (parents must be present!). There are limited services available (10 p.m. to 3 a.m.) for children younger than 2 during Camp Carnival’s Night Owls. Babysitting rates for all children are $6.75 per child per hour. Minimum age for sailing on Carnival is 6 months, with the exceptions of TransAtlantic, Hawaii and South American cruises, where the minimum age is 12 months. Celebrity Cruises: Celebrity offers private, in-cabin babysitters for a fee of $19 per hour (up to 3 children and children must be 12 months old to qualify for this service). Parents should expect to make requests for services at least 24 hours in advance. Minimum sailing age on Celebrity Cruises is 6 months, with the exception of TransAtlantic, Transpacific and select South American and other cruises, where the child must be at least 12 months old. Associated cruise tours are also subject to the 12-month minimum age requirement. Costa Cruises: There are no organized activities for children under the age of 3, but during the low season/off-peak times families can access the children’s areas. Costa Cruises entertainment staff are available every day from 9 a.m. to midday, from 3 p.m. to 6 p.m. and from 9 p.m. to 11:30 p.m. for a free group activity service. There are four Clubs: two for children: Mini (3-6 years), Maxi (7 to 11) and two for teenagers: Teen Junior (12-14) and Teen (15-17). Mini and Maxi Club nighttime group baby-sitting, held in the children’s area, is a free-of-charge babysitting service until 1:30 a.m. Minimum age to sail on Costa is 6 months. Infants must be at least 12 months of age at the time of embarkation to sail on the following: trans-ocean crossings (Atlantic, Pacific, Indian, Arctic, etc. ), World cruises, cruises of 15 days or longer duration, and any other itinerary that may, in the opinion of Costa Crociere or CCL, present serious risk to infants in need of emergency medical care. Crystal Cruises: Crystal does not have a formal program for children under the age of 3, but babysitting services are available and fees start at $10 per hour. (Fees are $10 per hour for one child, $15 per hour for two children and $20 per hour for three children. To satisfy safety concerns, the maximum number of children/babies watched by one babysitter is three.) Arrangements can be made through the concierge; parents should expect to provide 24-hours’ notice. Both ships feature a fully supervised Junior Activities program for kids between the ages of 3 and 17 on holiday voyages and nearly all summer sailings, each with dedicated play areas for both young kids and teens. Cunard Line: On Cunard’s Queen Mary 2 and Queen Elizabeth 2, parents will find well-equipped nurseries and children’s centers, featuring toys, games and activities. These children’s areas are supervised by nannies and youth staff, but children must be 1 year old to participate without parents; children under 1 are welcome with parental supervision. games, pizza parties, story time and movies. • Teen activities including: Xbox video games, dances, parties, late-night movies, table-tennis tournaments, basketball and ship tours. Both ships offer a family pool area, and there is complimentary group child-sitting available in the evenings. Minimum sailing age: Cunard only accepts guests over the age of 1 year; however on certain voyages Cunard will allow children from 6 months old. Inquire when booking about age restrictions for your cruise. Disney Cruise Line: Already well-known for being a family-friendly line, this cruise line is also among the best for infant programs. Flounder’s Reef Nursery and the Small World Nursery (on the Disney Dream and Disney Fantasy) accept children from 3 months to 3 years; the counselor ratio is 1:4 for infants and 1:6 for toddlers. Amenities include: baby swings, walkers, books, toys, games, a television and DVD area. There is also a soft play area and separate nursery with cribs. Parents should expect to carry a pager (attendants do not change diapers) and pay $6 per hour for the first child and $5 per hour for each additional child. The minimum age to sail on Disney is 12 weeks old. Holland America Line: HAL does not provide children’s programs or babysitting for children under 3, but a limited number of high chairs, booster seats and cribs are available to cruisers at no charge. Parents should expect to reserve these items in advance, at the time of booking. Holland America provides youth programs for children aged 3-17 on every ship except the ms Prinsendam, where youth activities are offered for ages 5-17. The minimum age to sail on Holland America Line is 6 months; 12 months on transoceanic voyages. Norwegian Cruise Line: Norwegian offers complimentary “Kids Crew” youth program for ages 2-12. They also offer Late Night Fun Zone, (10:30 p.m. – 1:30 a.m.) for children ages 2-12 years old, which costs $6 per child per hour, ($4 per hour for additional siblings). NCL does not have programs in place for children under age two, and no private babysitting is available. The minimum age to sail on NCL is 6 months. Oceania Cruises: Oceania’s cruises are designed for adults and do not provide care, entertainment or supervision for children. Oceania’s minimum sailing age is 12 months. P&O Cruises: P&O offers a children’s program – The Reef – starting at age 2. Splashers, for 2 – 4 year olds is a day program filled with activities and designed for young children. Surfers is for children aged 5-8, Scubas for 9-12, and h20 for 13-17 year olds. In the evening, parents can take advantage of the cruise line’s supervised night nursery. Parents should be aware that this service is operated on a first-come, first-served basis, and infants must be settled and sleeping before they leave. Children aged 6 to 8 years may join “slumber time” in the play room until midnight during peak cruises (such as those during school holidays). Minimum age to sail on P&O Cruises is 6 months. However, TransAtlantic cruises, world cruises and remote itineraries have a minimum age of 12 months. Royal Caribbean International: Royal Caribbean has a “Royal Babies/Royal Tots” program (6-36 months), developed by experts at Fisher-Price. These playgroups are 45-minute sessions that include activities like baby gymnastics and musical inspiration. Royal Caribbean also provides a nursery, with child watch options day and night. Children are divided into two age groups within the nursery: Babies (6-17 months) up to and including one day less than 18 months, and Tots (18-36 months). Parents should expect to carry a phone, and the charge is $8 per hour per child. Each session must be a minimum of one hour and a maximum of six hours. The minimum age to sail is 6 months on most itineraries, but is 12 months on all TransAtlantic, Transpacific and Hawaii cruises. Some South American and other cruises are also 12 months; be sure to check age requirements for your specific cruise. Regent Seven Seas Cruises: There are no formal programs for children under age 5 on Regent sailings, but the line does provide in-suite babysitting services. Check with the concierge for fees. Regent's Club Mariner youth program (designed for age groups 5-8, 9-12 and 13-17) offers an enriching exploration of the world. The minimum age to sail on Regent Seven Seas Cruises is 12 months. SeaDream Yacht Club: SeaDream does not provide activities/amenities specifically for children. The minimum age to sail on a SeaDream is 12 months. Silversea Cruises: This luxury cruise line’s programs are designed for adults and they do not provide care, entertainment, or supervision for children. Silversea cannot accommodate infants under 1 year of age and reserves the right to limit the number of children under age 3. Minimum sailing age Silversea Cloud, Silver Wind, Silver Shadow, Silver Whisper and Silver Spirit is 6 months. Minimum sailing age on Silversea Explorer is 12 months. Seabourn: Tailored for the adult cruiser, there are no onboard facilities for kids, nor does Seabourn offer a supervised children’s program. Minimum sailing age is 1 year for TransAtlantic cruises and World cruises, and 6 months for all other sailings. Uniworld Boutique River Cruise Collection: Uniworld’s position is that most children, specifically those under 8, do not enjoy or appreciate the river cruise experience. There are no special arrangements, activities or accommodations for children on Uniworld river cruises and tour programs. The minimum age to cruise on Uniworld is 4 years. Viking River Cruises: Viking River does not maintain facilities or services for children due to the nature of their cruises. Minimum age to cruise on Viking River is 12 years. Windstar Cruises: Children, especially infants and toddlers, are not encouraged aboard Windstar cruises, and travel for children under 2 is limited. Windstar does not provide facilities for children and does not provide care, supervision or entertainment of children. Minimum age to cruise on Windstar is 2 years. Cruise line policies are always subject to change, so be sure you have the most current information available and confirm it with your CruiseCompete agent before finalizing a cruise. What: Seven days of a rental car and pre-booked hotels for a self-drive vacation in Croatia. Includes seven nights with daily breakfast in 4-star hotels, unlimited mileage, drop-off charges, insurance, road assistance, government and VAT taxes, detailed itinerary with driving distances, suggestions, tips and guide to restaurants and attractions. Where: Anywhere the road takes you. Cost: $595 per person based on double occupancy. Booking and information: Call Universal Travel System, 310-428-1343. Rosen Shingle Creek Golf Course, Orlando. What: Special rates - $39 per round for Active duty, reserve and retired military personnel (greens fees normally run $79-$139). 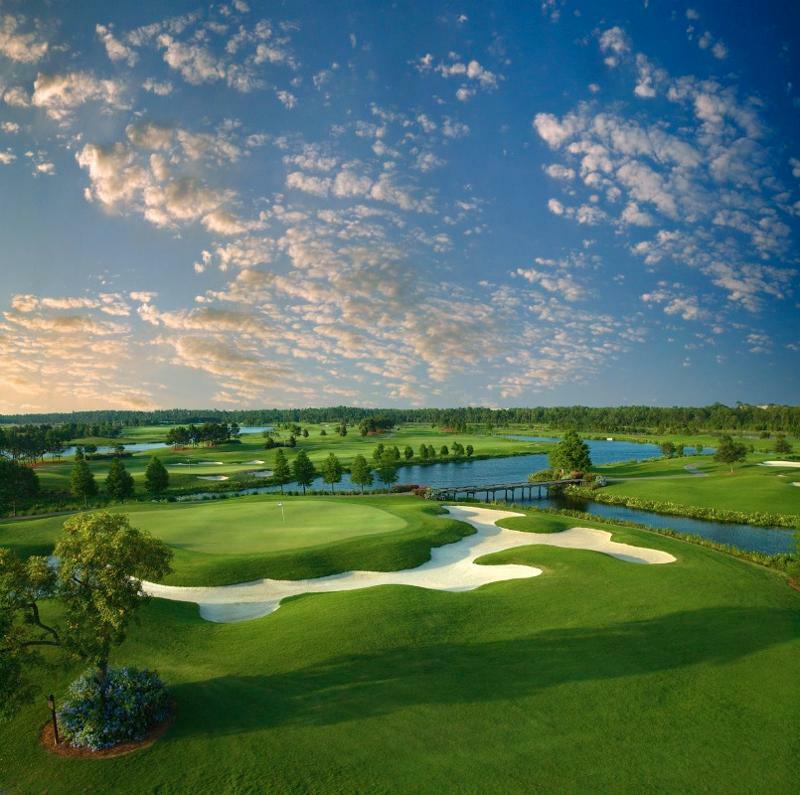 Includes golf cart with GPS yardage system, range balls and complimentary valet parking at the David Harman-designed course. Details: Does not include tax and gratuities and cannot be used by groups or meeting attendees or with any other offers. Must present valid military I.D. upon arrival. To Book: Call 866-996-9933 or visit www.shinglecreekgolf.com. 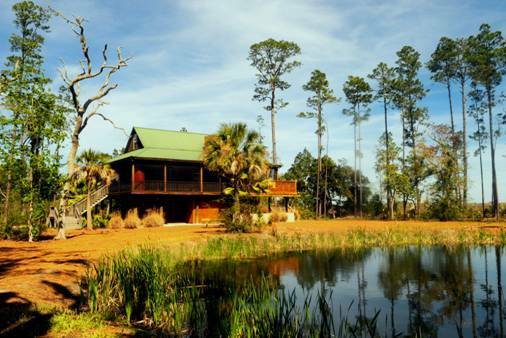 What: An island you can reserve for your own private adventure, Eagle Island has been praised by the London Times and Southern Living and comes with a low country-style lodge that sleeps 12, fishing gear and bait, kayak, fire circle, outdoor kitchen, hot tub, an uninhabited 10-acre island and a pair of eagles. Where: Off the Southeastern coast of Georgia a 10-minute boat ride from Darien in the area the Nature Conservancy named one of the "75 Last Great Places Left in the World". April 14-19, 20% off the weekly rate. April 22-26: 20 % off the 5-night rate. Plus a bushel,of oysters and 5 pounds of wild-caught Georgia shrimp! Guest services include handling your personal grocery shopping and stocking Eagle Island Lodge with everything you need to eat, drink and be happy. Contact: Private Islands of Georgia's Capt. 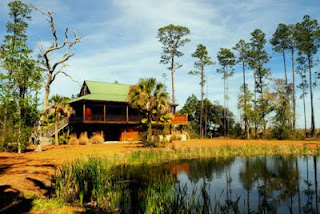 Andy Hill, 912-222-0801, or go to www.privateislandsofgeorgia.com. What: Book a hotel, motel, condo, resort or inn in Fernandina Beach or Amelia Island, FL, and buy your tickets for the 11th Annual Amelia Island Chamber Music Festival for half price. The Chamber Music Festival became a favorite with audiences and players from its first year with chamber music played and heard the way it was intended, in intimate settings. 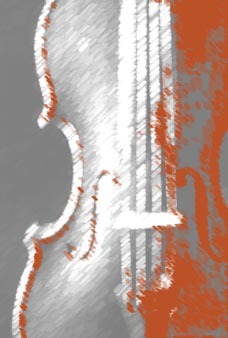 The 2012 festival lineup includes cellist Lynn Harrell and violinist Anne Akiko Meyers and the festival theme is Un Voyage Musical Francais: A Journey through the Art and Music of France. Performances include Chopin in Paris (May 18), Songs on a Summer Night (May 25), Pictures at an Exhibition (May 31) and the festival offers four free concerts, including the Concert in the Park: String Cheese Fling on May 13, McDuffie Center Showcase on May 19, Family Concert on May 26 and Beth Newdome Fellowship Artists Showcase on June 1. Other AICMF highlights include three informal Beer and G Strings performances, and French Cabaret. When: May 13 through June 8, 2012. Where: Fernandina and Fernandina Beach, with its pirate-filled past, oceanfront and the state's oldest saloon, and Amelia Island with more of the same plus elegant resorts on Florida's northeast coast. Concert venues range from parks to the historic Palace Saloon. Details: To purchase discounted tickets, visitors must call the AICMF box office (904-261-1779) and have a valid confirmation number from a local hostelry for their stay during the festival. More Info: For ticket details and complete concert schedule, call (904) 261-1779 or visit www.aicmf.com. For a list of Amelia Island accommodations and lodging discounts, go to www.ameliaisland.com/accommodations.